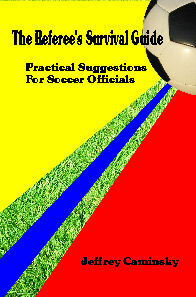 The Referee's Survival Guide is the book for all soccer officials. Young or old, raw beginner or seasoned veteran, there is something for everyone: Whether it's training as an official, learning where to be on the field, how to handle a crowd or a field-full of players, how to deal with less-than-helpful colleagues, or applying the rules in a common-sense manner, the Referee's Survival Guide offers something for everyone. Get an autographed copy of The Referee's Survival Guide from the Publisher. Continuing the Guardians of Peace saga,The STAR DANCERS continues the story that began in the Sirens of Space. After his misadventures in readying his ship to sail, Captain Cook and his crew leave civilization behind to sail off into the blackness of space. Battling space pirates and hobnobbing with alien diplomats along the way, Cook and the Cosmic Guard bring the 26th Century to life for their 21st Century readers. As with the other volumes of the Guardians of Peace series, the Star Dancers is destined to be a modern classic. 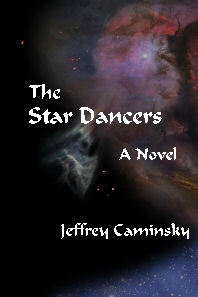 Get an autographed copy of The Star Dancers from the Publisher. The Sirens of Space is the opening novel in the upcoming Guardians of Peace adventure series. Set 500 years in the future, it chronicles the life and times of Roscoe Cook, pride of the Planet Isis, as he sails through the heavens in search of romance and adventure. A tale of love and hate, passions and fury, hopes and despair, the Guardians of Peace is destined to be a modern classic, and it all begins with the Star Dancers...on the dusty Planet Ishtar, in the year 2550. 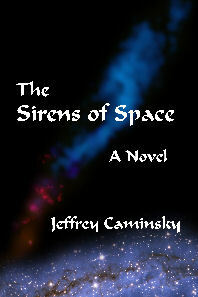 Get an autographed copy of The Sirens of Space from the Publisher. In The Sonnets of William Shakespeare, author and poet Jeffrey Caminsky brings a writers's touch to explain some of the tenderest, most personal poems of one of the world's greatest writers. Playful as well as profound�and as bawdy as he was witty�William Shakespeare is hardly the stuffy, obscure writer who inhabits so many modern classes in English Literature. 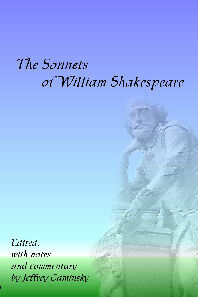 In this collection of Shakespeare�s sonnets, Caminsky puts some of the fun back in the Bard�s most private and personal set of poems. Get an autographed copy of Jeff Caminsky's edition of The Sonnets of William Shakespeare from the Publisher. All Fathers Are Giants is a tender and heartwarming collection of short stories by author Wallace Caminsky, drawing upon the rich cultural heritage of the immigrants from Eastern Europe in the early 20th Century. 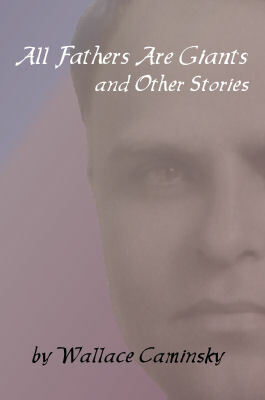 His collection of short stories and poems---ranging from whimsical to tragic, but always touching and timeless---brings to life a bygone age now largely lost to suburban sprawl and computer games. Get an autographed copy of All Fathers Are Giants from the Publisher.